This piece features 3D models with a variety of materials, and modeled in a variety of ways. 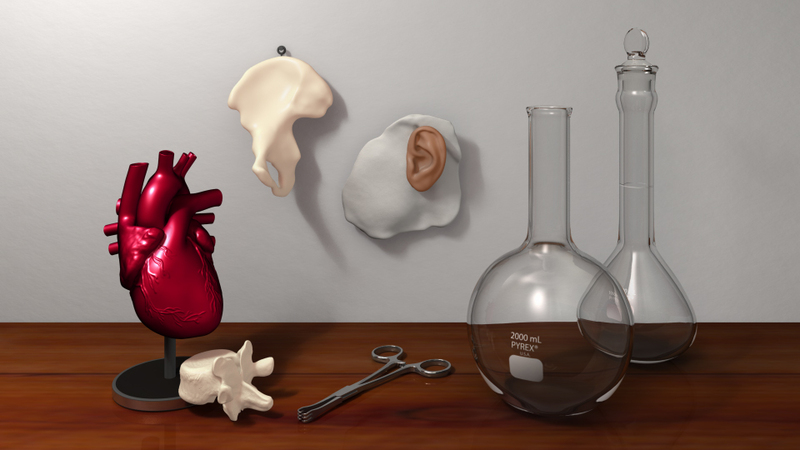 Each of these is based a biomedical object that exists in reality. The flasks, vertebra, and surgical tool were all modeled using photos in orthographic views (top, bottom, front, back, left, and right). The hip bone was modeled using data from a real patient CT scan using OsiriX (a DICOM viewer), and the ear prosthetic 3D model was generated from a 3D laser scan; both were then retopologized to simplify their geometry. For my major organ model, I chose the heart, which is perhaps my favourite part of the human body. Its twisting and asymmetrical form gives it strength and power, allowing it to pump blood all over the body. It also makes it remarkably challenging to model. Starting from patient data, I first developed a series of orthographic sketches. Next, I built a wireframe, made up of points joined by lines, to represent the heart in 3D space. To complete the model, I painted coronary blood vessels on its surface. I placed all of these in the workshop of a collector, in a room lit by sunlight. Top row: patient data. Middle row: orthographic sketches. 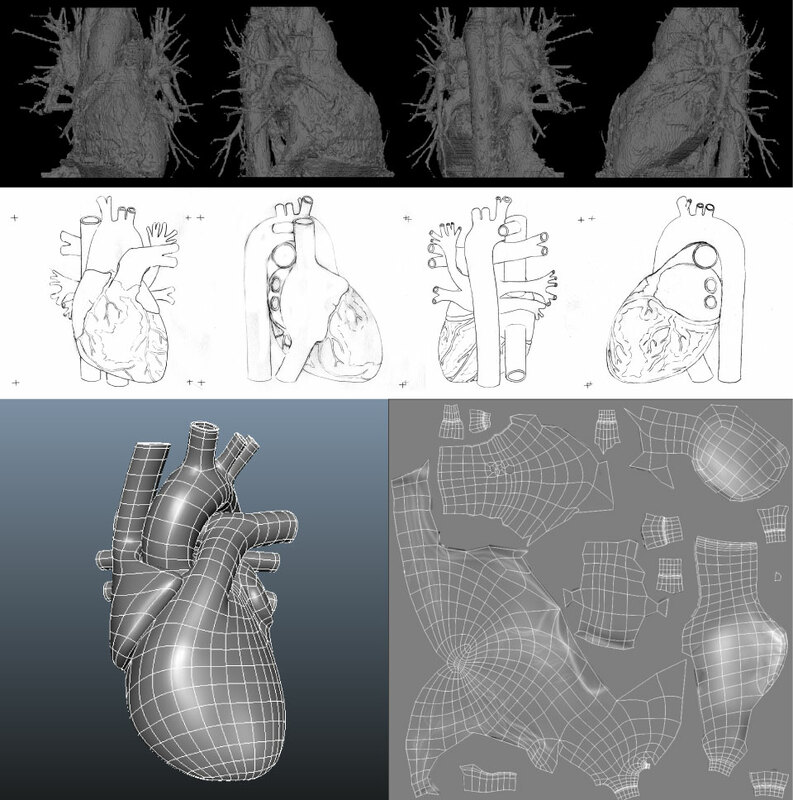 Bottom left: wireframe representation of heart model. 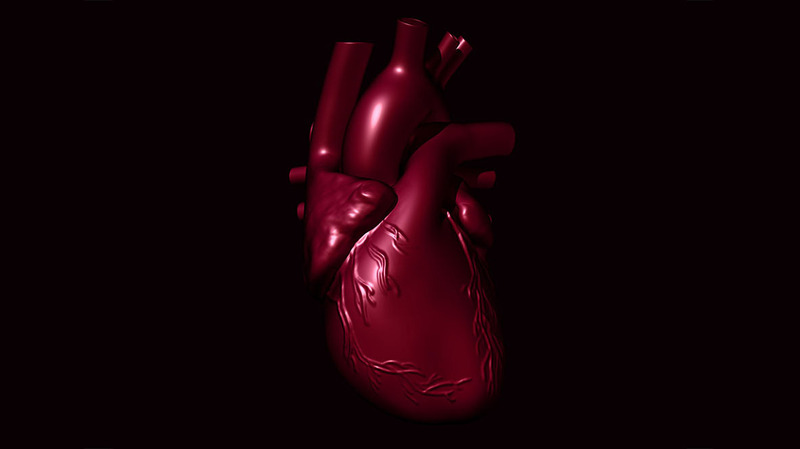 Bottom right: UV map (2D map of model) with coronary vessel and atrial displacement painted in.